The "Triple Play" is a unique call that easily imitates the sounds of Coyote Barks, Palpated woodpecker and peacock. The Spoody-Hoo-Dad is a 3 Reed inverted V style all but with some unique modifications to the wings of the latex. It also features our new Grey Latex which offers ease of use and great sounds that until now you only heard from the Pro's. This call is all the rage in the calling contests! The Bat Wing features our boldest cut yet. 3 Reed with our new bat wing cuts gives unbelievable range and cuts that will knock your socks off. Our contest callers are crazy about this call. It is great! ALL NEW Barred Owl call is perfect for early morning locating, producing laughs, rolls, and of course Hooting sounds. This call is the easiest and best sounding owl we have ever used. Note from GameCalls.net Staff: This is the most realistic sounding tube type owl hooter we've ever tried. This call is designed to accurately reproduce the gargling sounds of the Sandhill Crane. Large barrel design allows for extra loud volume for long range calling. The single reed is designed to resist reed sticking due to excessive moisture. This call will effectively and accurately reproduce many calls that will draw predatory animals. Produces squeals and dying calls to trigger predatory behavior. Effectively and accurately produces the squalls and cries of raccoons. Accurately reproduces goose grunting and honking. This call will effectively and accurately reproduce many calls that will draw predatory animals. Produces squeals and dying calls which will trigger predatory behavior. The SWEET TALKER is a quality friction call, made from high resolution plastic to produce the best possible sounds. 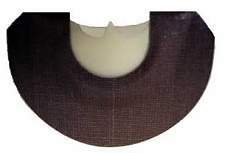 This turkey call is durable and comfortable and easily produces the sounds made by the wild turkey. The Slate surface produces authentic sounds for sweet purrs, and raspy yelps. 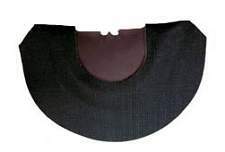 Slate has been the standard for pro hunters for many years. Our premium slate is the highest quality slate available for the best in turkey sounds. Comes complete with an all-weather striker. Devastator Game Calls are GameCalls.net's pick for best quality game calls at the lowest prices. The SWEET TALKER is a quality friction call, made from high resolution plastic to produce the best possible sounds. 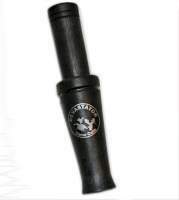 This call is durable and comfortable and easily produces the sounds made by the wild turkey. The Glass surface produces high pitched sounds that have been proven to make turkeys gobble. The glass also is highly resistant to moisture making it a great choice for rainy day hunting. Comes complete with an all-weather striker. Devastator Game Calls are GameCalls.net's pick for best quality game calls at the lowest prices. The SWEET TALKER is a quality friction call, made from high resolution plastic to produce the best possible sounds. This call is durable and comfortable and easily produces the sounds made by the wild turkey. The Aluminum surface produces unique sounds for sweet purrs, and raspy yelps. The ability to repel moisture makes it the perfect surface for rainy day hunting. Comes complete with an all-weather striker. Devastator Game Calls are GameCalls.net's pick for best quality game calls at the lowest prices. 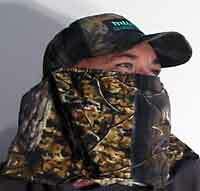 Half Mask is from FULL BENEFIT TM camo soft cotton twill for a durable yet comfortable half mask. Great for quick setups and can be pulled down for hit and run situations. The 3-D shooters pouch is made from FULL BENEFIT TM camo soft cotton twill. 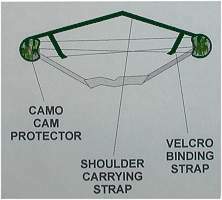 It has a large 8.5 x 8.5 inch pouch with easy draw string for hunting accessories, bincoulars, range finder and other accessories. The outer pouch is 5.5 x 8.5 and has an elastic tension top to secure items inside. Rut-Zone lures are bottled fresh, unlike many other lures. We NEVER carry over lure from one year to the next. You are getting the absolute FRESHEST, HOTTEST lure on the market. We sell direct to the public, and ship fresh, so you get it while it is still hot. 2 Full oz. in a Handy Pump Spray Bottle. Instructional videotape includes 14 spring hunts and 1 fall hunt with 15 kills, including archery turkey hunting. Join the gang from Devastator Game Calls as they take you through the in's and out's of hunting the wild turkey. From call use, scouting, setup tactics, and more. This video is perfect for the beginner but packed with enough heart pounding hunting footage to thrill anyone who enjoys this one of a kind sport! Approximately 90 minutes, VHS videotape. The Wild Thang is a 3 Reed with a custom c-cut to produce some of the best sounds you will ever hear! Finally a way to use your favorite slate call in foul weather without making mistakes. This striker is tipped with our specially formulated tip, designed just for slate to make it weather proof. It truly sounds awesome on slate but can be used on many other surfaces. A second in our hot selling Two Timer series but with the top calling surface being Aluminum offering super high pitched and sweet yelps. Easily makes kee’s kee’s and sounds great soft or loud. Flip this call over and take advantage of our slate calling surface that has been the pro hunters choice for many years. Included is our exclusive wood striker with water proof tip. Taking advantage of 2 calls in one gives you all the versatility you could need from a friction call. 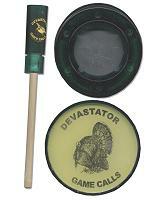 New from Devastator comes one of the hottest calls we have ever had the pleasure of offering. The top calling surface is Smooth Glass offering very high pitched and sweet yelps. Easily makes kees kees and sounds great soft or loud. Flip this call over and take advantage of our slate calling surface that has been the pro hunters choice for many years. Included is our exclusive wood striker with water proof tip. Taking advantage of 2 calls in one gives you all the versatility you could need from a friction call. The all new Super Rattlin' Bag is now smaller, louder, and easier to use. Produces the full range of sounds made by fighting buck horns, very realistic sounds. Includes a handy string hanger for easy access or is small enough to fit in pant pockets, or on belt loop. Natural forest floor cover scent. 2 Full oz. in a Handy Pump Spray Bottle. 8 Full oz. in a Handy Pump Spray Bottle. Call case for diaphragm calls. Youth double turkey diaphragm call. The Devastator Calls Duck Master duck call is a very high quality duck call that really brings 'em in so you can take 'em home. call helps reduce reed sticking and will produce raspy highs and lows. The Devastator Calls Wood Duck is one of the easiest Wood Duck calls you will ever use.Great for use on many ducks species. Join Ken and Pat Willis of Devastator Game Calls and good friend Joe Lew as they kick back and enjoy some good old fashion huntin stories by the campfire. Includes Elk, Deer, Turkey, Pheasant, Rabbit, Squirrel, Bear, Hog and Bow Fishing hunts and footage. Real Hunts but told in a relaxing and complimentary manner. This video is fun and great for the kids. Also includes some positive hunting messages and inspiring words from one of the industries most beloved men. A hunting video for the whole family. The Old Master is a custom cedar box made from beautiful hand crafted cedar. This call is truly awesome sounding with a true “yawk” sound that only a quality box call can make. Perfect call for locating on windy days or for those guys who just love a good box call. This call is perfect for locating all day long. The high pitched sounds will often make birds gobble. The Devastator Calls Bossy Hen mouth call has a 3 Reed Special cut and is great for Kee-Kee's and sharp cuts and yelps. Be sure to try this one out.